I’ve reached word 29,000 of my book, and it has hit the dreaded muddle. What’s this “muddle,” you ask? Well…it’s the part of the book that’s hardest to write for me…the middle. It’s like slogging through a swamp, and it’s the part where my books most often derail catastrophically. This book is getting longer than I wanted it to. I aimed for forty thousand words, and I feel I’ve just now reached the halfway point. I can’t see myself finishing it before fifty thousand words. We’ll see how much gets cut in the end. 2. Plenty of unexpected plot twists (things that you, as the writer, didn’t expect…this is why I’m now a fan of not making outlines, because outlines are too predictable). Other than that, I’m clueless. I’ve written four thousand words this weekend, which might seem like a lot, but I wanted to get further than that. I’ve at least set it up for the most interesting part of the book to me. Those scenes will be fun to write. I’m starting to get burned out…just a bit. It’s kind of hard to write and focus when everything is just sort of blah in general. Blah blah blah. Am I allowed to whine? I guess so, since this is my blog. Just another existential crisis, folks, nothing to see here. Hopefully all this can be done by March. That gives me a month, and a few days. Which might seem like plenty of time, but really…time goes by quick. It’s just gotten to the point where it feels more like work than fun now, which is what always tends to happen. Strangely, when I go through the parts that are “inspired” and the parts I wrote in cold blood, they read much the same. Anyway, hopefully this coming week is better. I just want life to throw me a bone…just this once. Please? I swear, after this I’m going to write a romance or a mystery or something. I want to try something that’s completely different from what I’m doing now. Post-apocalyptic/dystopian stuff died with 2012, but I still have an interesting world and several more books to explore it. Things get crazy later, I promise. I’m just ready to get to those crazy parts. I got home yesterday at about 4:00 after a trip to Wally World. I got off work at the very early hour of 3, and was already trying to stifle some jaw-cracking yawns. When I got home, I ate dinner and started to read. By 5:30, I was out like a light. Then, 4:30 came around. I had just slept eleven hours. I have no idea how I slept that long. The last time I slept like that, I was probably a little kid. This isn’t the first time…on Monday or Tuesday, I was in bed by 7:30. I now have a job where I move around a lot – lifting, walking probably five miles a day (maybe even more). I’ve definitely lost a bit of weight. It’s hard for me to decide whether I like it or not. If there is one positive, I’m getting plenty of exercise, and I don’t have problems sleeping anymore. I can always depend on my brain to mentally exhaust itself because I’m a nonstop thinker, but up until now that physical element was missing. Even when I was running a lot, I probably did not burn as much overall calories as I do now on a day to day basis. Anyway to quote Mr. Gump, that’s all I have to say about that. 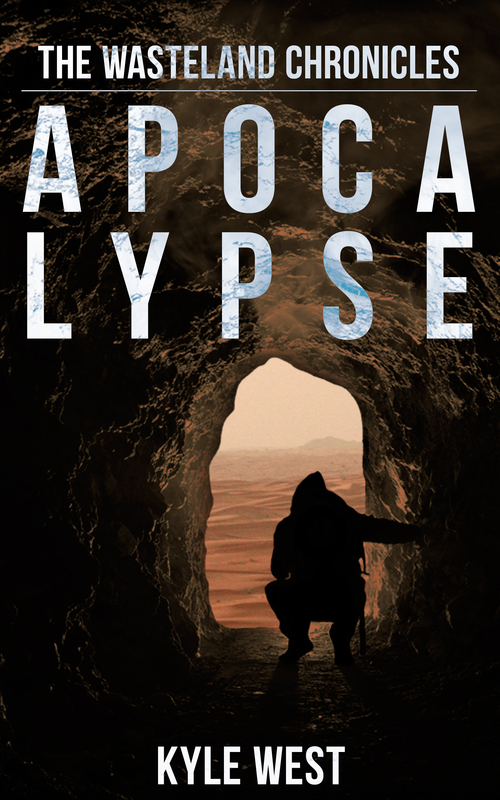 In other news, my paperback edition for Apocalypse came in (version two), and so far everything looks great. I think this one will for real will be available for purchase very, very soon, and I’ll probably be hosting my first Goodreads giveaway next week – which is very exciting. I haven’t done anything promo-related for a while, being tired and working on finishing my sequel and such. The sequel is coming along quite nicely. I hit 24,139 words this morning, and discovered a plot element that’s going to even make the stakes higher. I didn’t really plan on adding this in until today, but it hits all the marks. It expands the world I’m creating, it makes a new threat to the main character and his mission, and overall just provides a more compelling story. I’ve been working on the book for two or three weeks, and hopefully I’m still on track to have it online in March, the time I set for myself. Has it really been three days since I’ve posted? Yes, I guess it has. I’ve been very tired lately – and busy too, I guess. I finally reached the point in my novella that I’ve been waiting for. The apocalypse team is on the road again, saying goodbye to raider town. It took near twenty thousand words for them to get there, about twice as many as I expected. How much of that stays remains to be seen when I go back over it. Already they’re running into a lot of trouble on the road. They’ve already downed a giant, zombified, troll-like thing and there’s a lot worse waiting ahead of them. If I stick to my 40,000 word goal, then I guess I would be halfway done with the first draft. Only…this one might go even longer. It’s always hard to tell. If it does end up being very long, I might decide to split it into two books – but it would have to go 25,000 to 30,000 words over my goal for me to decide to do that. The upside of that would be is you wouldn’t have to wait three months for the sequel to come out. I’m just anxiously waiting for the paperback copy to be ready so I can start doing giveaways. I just can’t wait until book two is finally out and the cover art is done and all that jazz. Oh yeah, I turned 25 yesterday. I think in my high school/college days, my imagination pictured me already having six wildly successful books by now. I’m just now realizing the amount of work is required, and I’m just now starting to take to it. In the past two months and a half, I’ve definitely done more writing-wise than at any other time of my life. I have focus like I never have before, which is great. I’d like to think it’s something special I did, but we all know it’s probably just coffee. I just wished I had learned all these things two years ago, instead of now, when the e-book market was smaller and it was a bit easier to get established. But I still think there is plenty of room for someone who is talented and is willing to put in the work…and hopefully I am both of those things. Writing is one of those things where you have to research some strange things in order to sound credible. How big, exactly, does an asteroid have to be in order cause an apocalypse on the scale of the dinosaurs? Asteroids range in size from meters to miles. The bigger ones (like the one that’s about to pass us, here) could easily wipe out an entire city. The big ones that are miles wide would end civilization and maybe the human race as we know it. This is what happened to the dinosaurs, most likely. The fact that such a rare event happened in The Wasteland Chronicles in the year 2030 is highly, highly improbable…all meteors of this level of lethality (I think I just made the word up) are documented and none of them will hit Earth on the order of millenniums. That Ragnarok (the meteor in my series) does, will be explained in book two. How long does it take for someone to recover from a gunshot wound to the shoulder? It depends on a lot of things: where the bullet entered, did it damage any vitals, did the wound get infected, did it hit bone, did the bullet fracture, was the person young or old, in good or bad health…on and on and on. I learned at minimum someone would be discharged from a hospital in maybe ten days, if things weren’t too shaky. From a shoulder wound, the person would be in a sling from three to six months. Again, it all depends. This is probably the weirdest question I had to research. 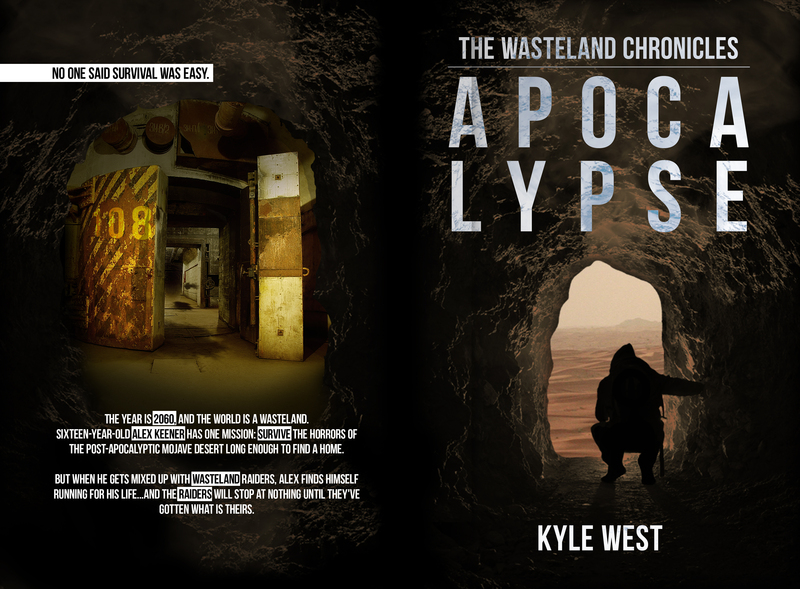 In the world of The Wasteland Chronicles, meat is a rare commodity, mainly because most of the animals died. One of the few animals that managed to do well, after escaping zoos, were the camels, who survived the harsh environment of the desert a lot better than other species. Camels, therefore, are the main source of meat in the Mojave in the year 2060, thirty years after the impact of the Meteor. Even still, they are not exactly plentiful, as food sources are limited. Camels do fairly well in the cold, especially Bactrian camels (mid-Asia), as well as the kind that live in the Gobi Desert in China, where it can get bitterly cold. But from what I gathered from the Internet (alas, I could not partake in camel myself), camel sorta taste like old beef – its stringy, slightly gamy, and has a barn-like taste to it, whatever that means. It doesn’t sound particular pleasant, but it’s usually prepared in stew or cooked with a red center (I assume because of its toughness), and spiced. It is eaten in the Middle East, where camels are naturally bountiful. These are just a few of the many questions I’ve had to research. I didn’t go too heavy in it – I got the basic gist and use my brain to fill in the rest. I probably made some technical errors, and if the series takes off, I’m sure I’ll get taken to task on a few of them. However, to me, the main thing is to tell a good story – and as long as your entire story isn’t predicated on a glaring factual error, the rest can be forgiven.